The American Cryptocurrency Exchange Gemini has blocked user's accounts trying to exchange a stablecoin Gemini Dollar (GUSD) to fiat currency. According to traders, Gemini is trying to prevent the sale of GUSD in order to maintain the current level of digital asset capitalization. According to CoinDesk news agency, a Gemini blocked user's account from South America after he announced his plans to exchange GUSD tokens worth several million dollars to fiat currency. According to the official report of exchange the account closed to perform the audit. The company’s management reduced to give the exact reason for the blocking and did not comment on the news of the incident. In 2018, Gemini sold GUSD tokens to large investors at a 1% discount in order to increase the level of asset capitalization. 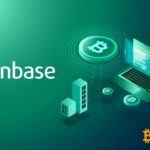 However, the exchange introduced a restriction on the sale of stablecoin. However, traders did not have the right to immediately exchange virtual currency for fiat currency. 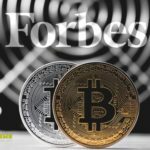 An investor representing a Latin American company refused to buy a Gemini Dollar on these terms and acquired a digital asset at another crypto exchange at market value. When a trader asked Gemini to buy tokens, he was refused. 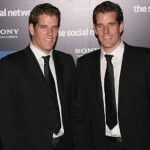 The American over-the-counter trader also reported blocking his account on the Gemini exchange without giving a reason. According to him, the account was closed shortly after he sold several million dollars to GUSD. In connection with the blocking, institutional investors are wary of creating applications for the redemption of a stablecoin. Traders have to keep a digital asset in spite of their plans. 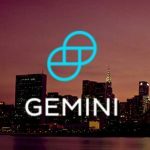 Representatives of Gemini denied the information about the groundless closure of accounts. They stated that the accounts were blocked due to the fact that users could not or did not wish to go through the necessary procedures provided for by the law. Gemini employees also reported that the exchange does not impede the sale of steyblecoin, according to them, the company bought out GUSD tokens worth $ 133 million. Experts said that stablecoin is not popular among professional traders and institutional clients. The bulk of the GUSD trading volume comes from OEX, BW and Fatbtc. According to Blockchain Transparency Institutes, about 98% of trading orders at the OEX and Fatbtc websites are done by bots, so the actual liquidity of the Gemini Dollar market is much lower than the official one. © 2018 bit.news | queries 236, for 0.174 sec.